It’s April and once again we are craving Salad! Look no further for a fresh new dressing recipe to feast away on all the early greens available in your market. Bon Appetit! Looking for a quick and tasty dressing for your spring salad? The following recipe is guaranteed to satisfy anyone wanting to top those delicate greens showing up in our grocery stores. 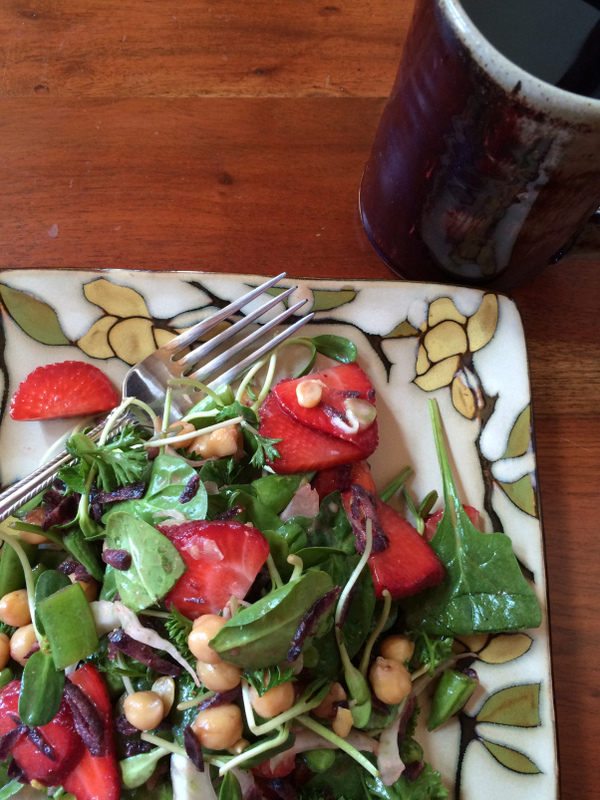 Right now I can’t get enough of parsley, sunflower and pea shoots, young spinach and early strawberries on my plate. Along with this fabulous dressing, composed of honey, lemon and flax seed oil, you will have created something sensational!